This news blog features updates & information on CAS-related events, tradeshows, product releases and more. We encourage you to check-in often with the CAS News Blog. We regularly update this page, so there’s always freshly-posted material. It’s a great way to keep current on industry-related events, find out about activities the CAS Team is participating in, and get ideas on how to utilize and deploy our products in real-world situations. 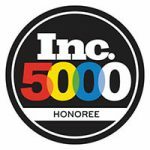 CAS Makes Inc. 5000 List of Fastest-Growing Cos. ! By Jeff Awe	| Aug 29, 2018	| Comments Off on CAS Makes Inc. 5000 List of Fastest-Growing Cos. !